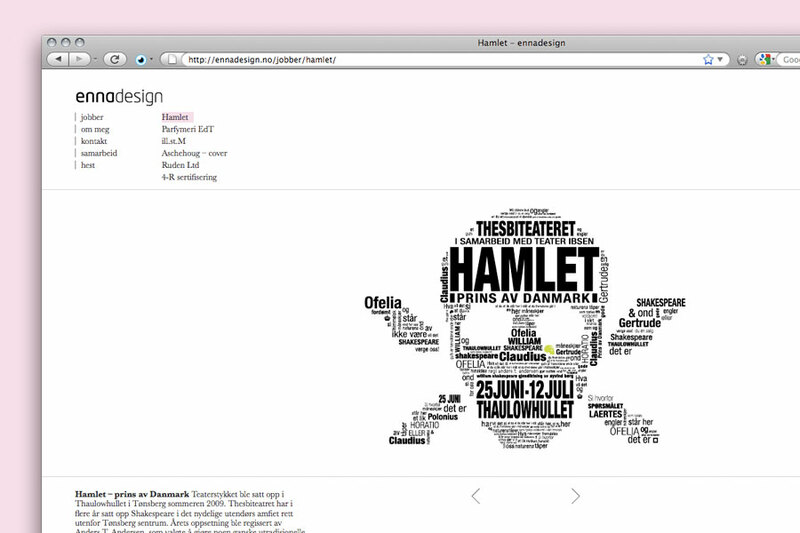 My good friend Anne is a talented graphic designer working in Oslo. 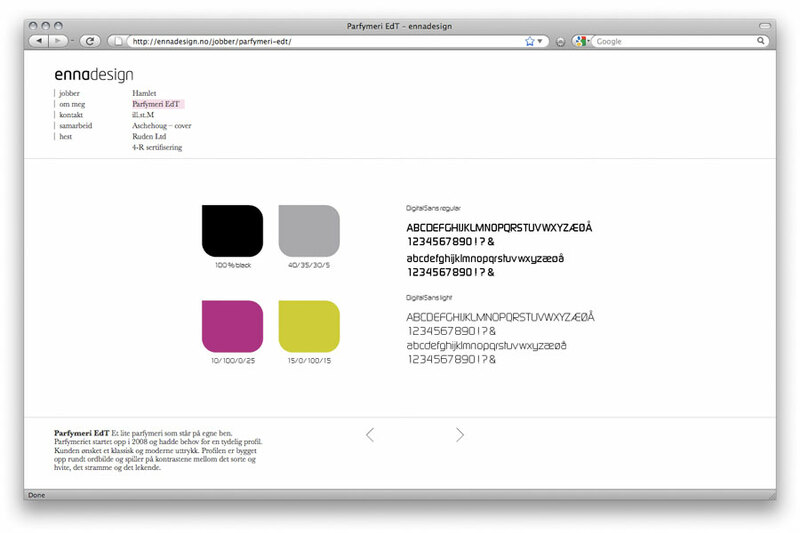 She has designed a new web site for her company and I helped out with the technical bit. The site is powered by WordPress, making it easy as pie to update the content in the future. 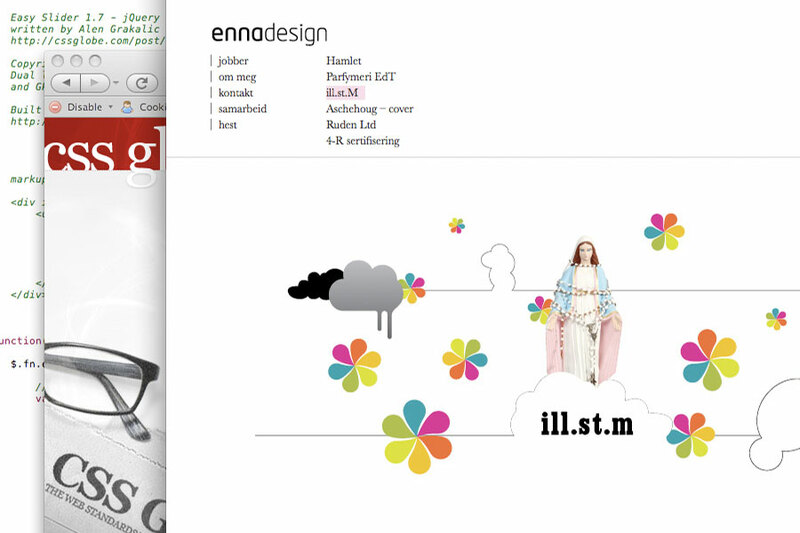 The beautiful work in her portfolio slides courtesy of the Easy Slider from Css Globe. 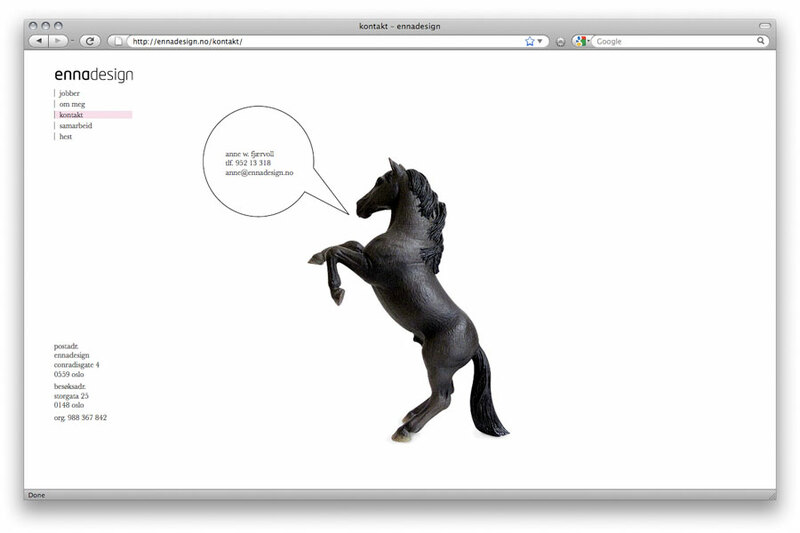 I’m also like the remote linking on the horse and se myself using this technique with CSS to make a lot of nifty navigation and hover action from now on. Check it out! 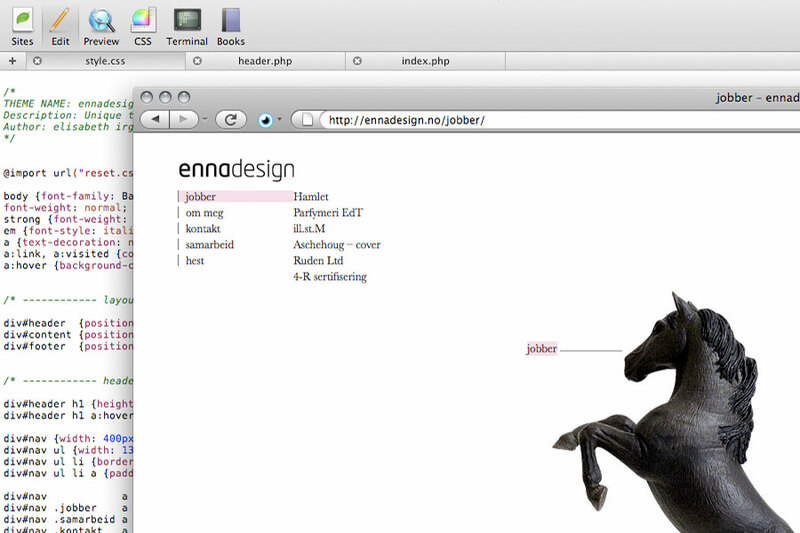 ennadesign.no is in Norwegian, but you can have a look at her graphic design under «jobber» (which means work! ).